Cairo is a city of contrasts. One evening we were enjoying an elaborate dinner with new friends in a mansion with marble pillars in the great room, teenagers dancing to the WII and an extravagant Easter egg hunt with delicious treats. The very next morning my son announced that we were going to Garbage City. I wasn’t sure if I had heard it right, or if I just wasn’t quite awake, but sure enough, there is a place called Garbage City near Cairo. The Arabic name for Garbage collector is Zabbaleen, and the town they take the garbage of Cairo to is otherwise known as Manshiyat Naser. 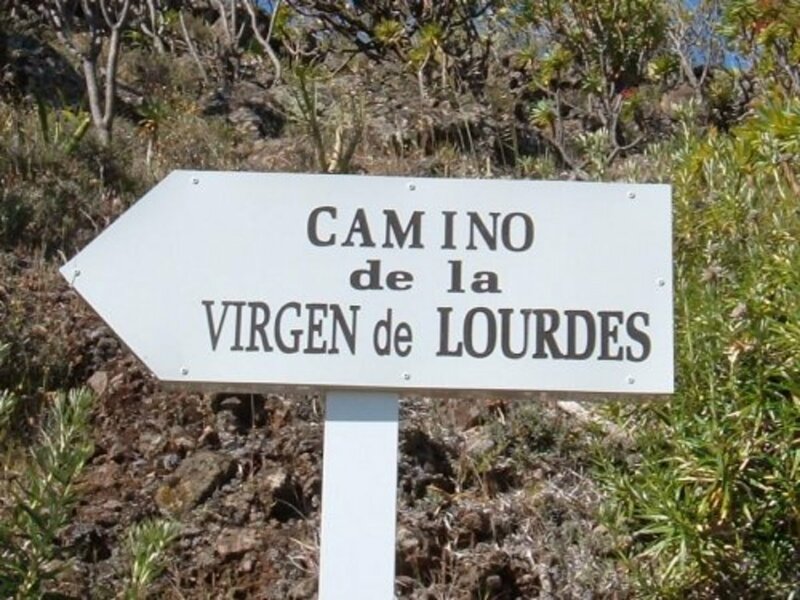 It is found at the foot of the Mokattam Mountains and was started by a group of migrants around 1910. I had seen small trucks piled high with old cardboard boxes, plastics, glass, and metals heading towards what I thought was a dump, but where it ends up is now called home by between 50,000 to 70,000 people. 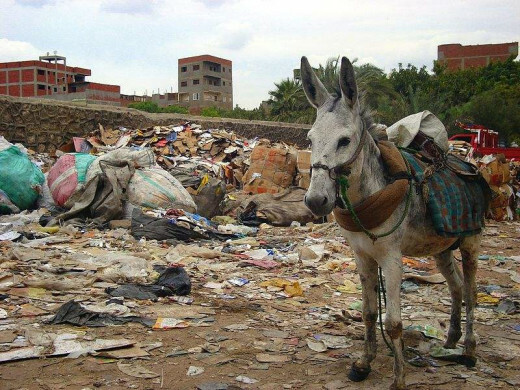 The trash of Cairo provides a livelihood for many local Christians. 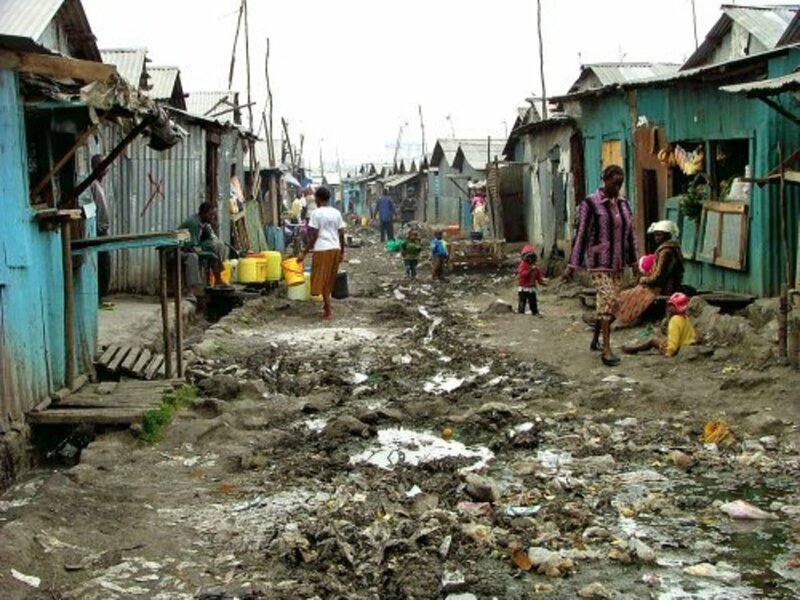 The slum lacks running water, sewage or electricity. The families of Garbage City collect, sort, recycle, create and live in the garbage of Cairo. With the poor economy and Christianity being in the minority amongst religious sects, they have been forced to make a living recycling material mined from mounds of garbage. We traveled down very narrow winding garbage-lined streets, with flies, birds, pigs, dogs and humans all living together. The stench is unbearable, (even with the windows rolled up on the van), and my heart bled for the mothers as they fed their offspring in this contradictory setting. Older women sat in small dark garage-type dwellings sorting through high mounds seeking hidden treasures. I learned that these Zabbaleen residents recycle up to 80 per cent of what they collect compared to a mere 20-25 per cent recycled in the West. 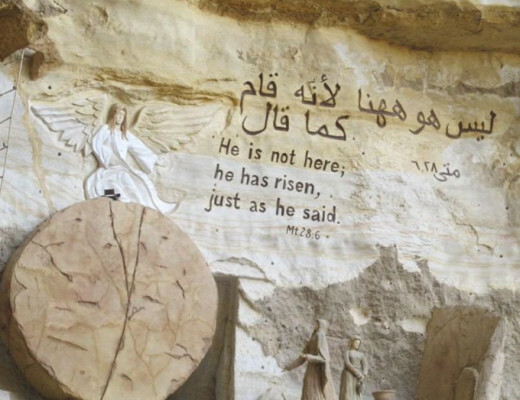 Amazingly, they have also literally carved cave churches out of stone where they can worship. 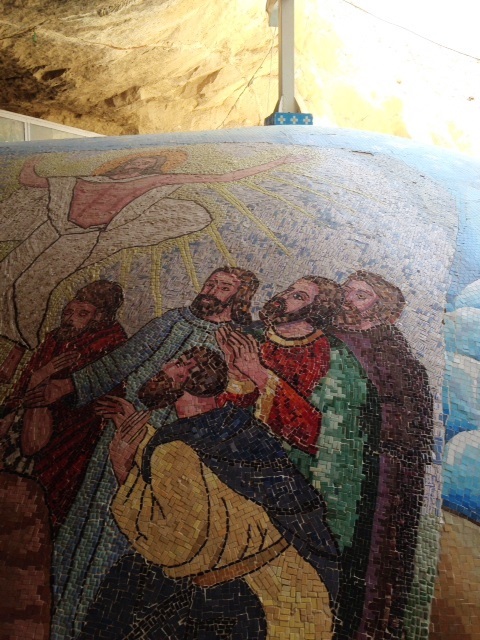 It is these cave churches that have become tourist attractions. 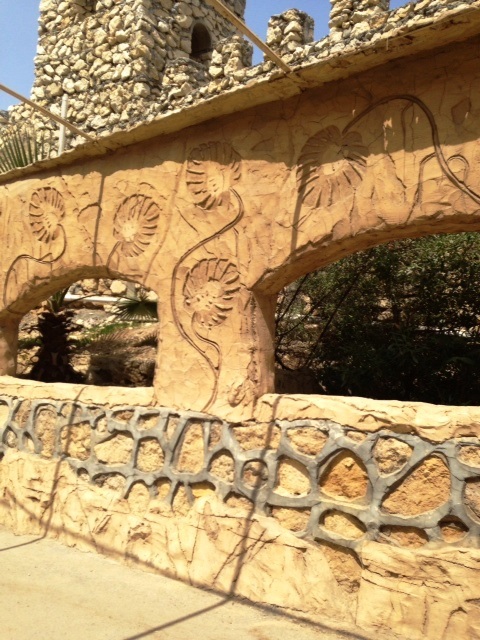 After passing through Garbage City, we came to a beautifully well-kept area and observed the many carved walls and caves. 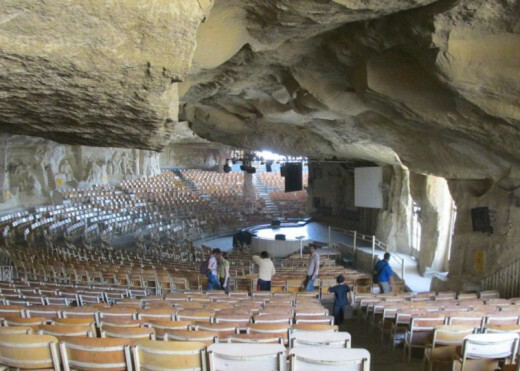 The Cave Cathedral is the largest church in the Middle East and can seat 15,000 persons. The majority of Egypt is Muslim, but over 90 percent of Garbage City are Coptic Christians. 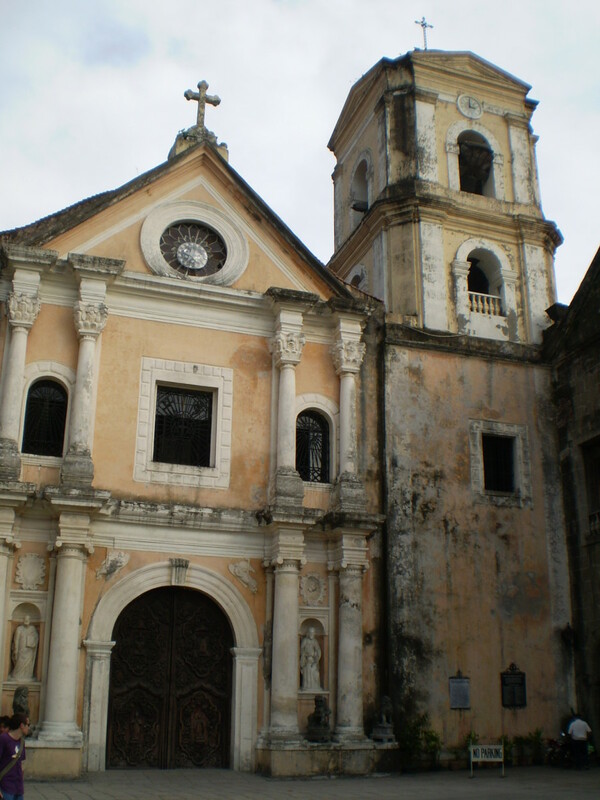 They feel fortunate to live with other Christians, and to be able to freely practice their religion. The Government has tried to evict them from the area, but they have persevered and built some homes of stone and bricks. I'm sure we can learn much from the recycling efforts of these industrious people. These very humble people have taken a very bad situation and done miraculous things in very adverse circumstances. They were willing to do what no one else in Cairo wanted to or had funds for. There are no garbage trucks like you see in the West. These garbage people are willing to pick up and transport the garbage to their own homes where it is sorted, recycled or burned. Islams do not eat pork and do not want any swine living in Egypt. But, the lack of swine to eat the organic waste causes a crisis in Garbage City because too much organic waste causes infectious diseases and rat infestation. Also, there have been parliamentary orders to cull the swine population, but it has only resulted in much more trash on the streets of Cairo. 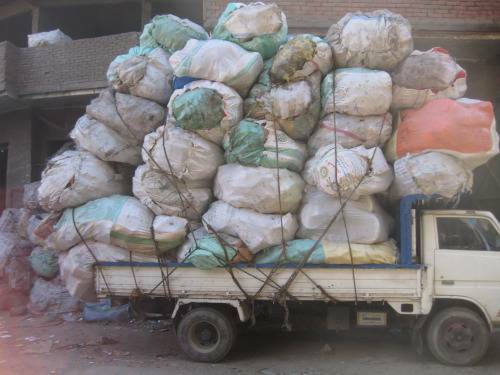 Government efforts to stop the Garbage City people have resulted in an excess of refuse building up on Cairo city streets. No one seems to know the exact population of Cairo, which adds to the chaos. 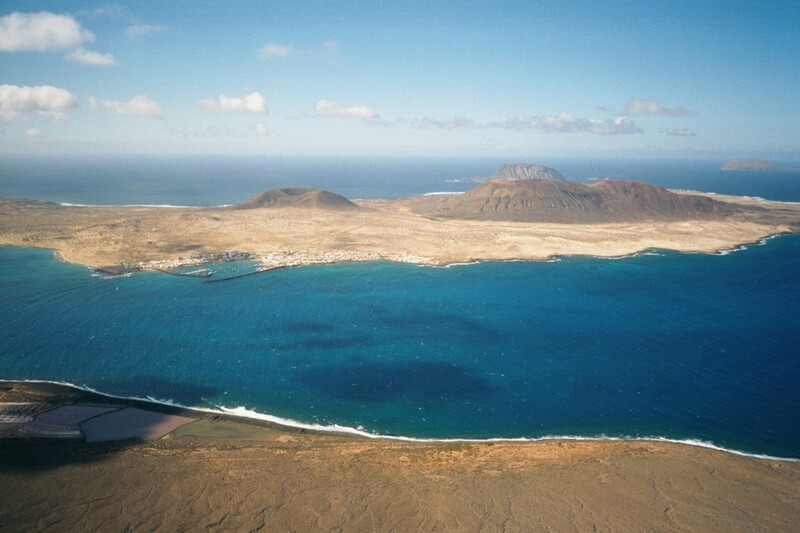 Poverty has been the driving force behind Garbage City. With no government support and even opposition, Cairo is becoming one of the dirtiest places in the world. No one wants to deal in a responsible way with the problem. A very interesting piece. I didn't know what Coptic Christians so I had to look that up. I appreciate that your hub made me think and want to learn more. What a great example these people are, not only to persevere but also to recycle and reuse. It's remarkable how the inhabitants of 'Garbage City' are able to eke out a living by recycling the garbage of Cairo. They perform a service no one else want to be involved with. I appreciate your positive feedback brownella. Some humans dig deep down to make a living, literally and figuratively! Very humbling! Yes, I wish the whole world knew about this, and learn from it. Thank you for noticing! This is a miraculous story of Christian migrants building a long-lived community out of trash and garbage, even recycling debris. Now thay have such a gorgeous cave church and a visibly determined way of living. This group of people deserves a lot of respect as well as freedom of religious expression. Their pigs surely can be kept in the town and not allowed to wander into the Muslim districts and the rest of Egypt could allow themselves to accept that. This is a story to be told to the world.